Join us for Homeschool Film Fest 2018! At 9 pm on the Friday of the Homeschool Conference (March 23), after the keynote, you can come and watch some of the latest and greatest short films made by homeschoolers in Manitoba. Kick back and relax after a full and exciting day at the conference and enjoy! If you are attending the MACHS conference, no further registration is necessary to attend this event. The short films will be presented with a bit of commentary about them. This is a great opportunity to watch and discuss these films with friends! If you are a homeschooler and have made a short film, feel free to consider your involvement at this event. Please send the short film to [email protected] with Homeschool Film Fest 2018 in the subject and a brief description. This does not guarantee your film will be shown, but we will get back to you with more info. 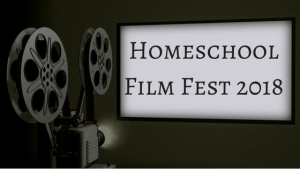 Don’t miss Homeschool Film Fest 2018. It’ll be a blast!